For some a holiday should be relaxing on the beach with sangria and sun. This list is not for them. These are holidays for travellers who want to WAKE UP. You don’t just want to see the nice view from that mountain top, no, you want to jump off the mountain! You don’t just want to swim in the sea, you want to swim in it with sharks, look Jaws right in his beady eyes and live to tell the tale! Well if its thrills you’re after, then you’ve come to the right place. 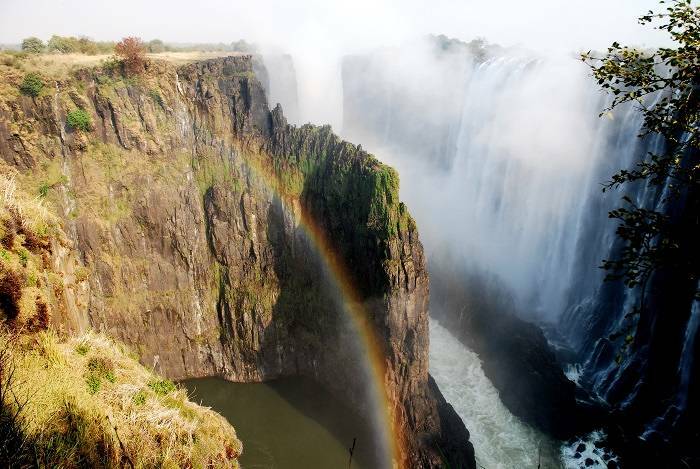 This is our top 10 extreme holiday destinations. Read on if you dare! We’ll start things off easy. 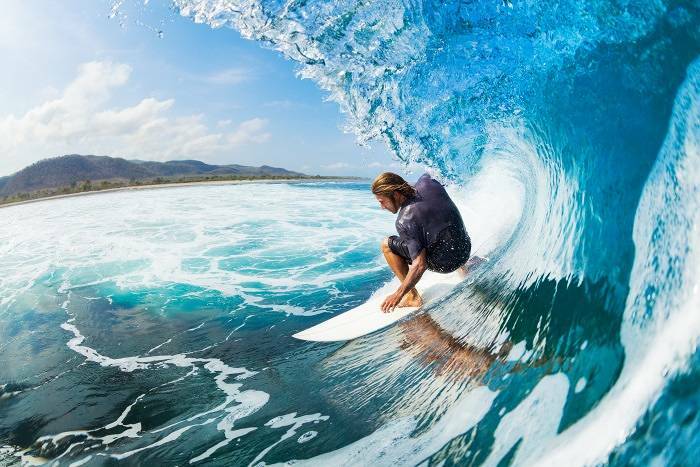 Depending on the wave, surfing can be an extreme sport and Lagos in Portugal is a well known area in Europe for year-round surfing. There are plenty of classes for beginners to get used to the waves. There’s also some killer waves for seasoned pros to have a “like, totally bodacious time”. 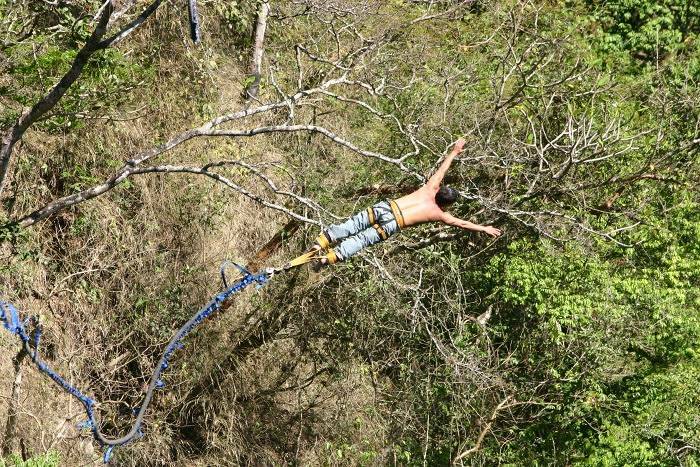 You didn’t think we wouldn’t include a bungee jump in this list did you? Phuket in Thailand is a great place to start. Sure you can bungee jump in many places all over the world, but you’ll be hard-pressed to find many better than a jump in the jungle. Once you arrive, you will be weighed, asked whether you want to be dunked in water and then be prepped. Next you go into the cage, which will climb to maximum jump height. Then all that’s left to do is…… JUMP! That’s right, it’s not just haggis and IRN-BRU in Scotland. 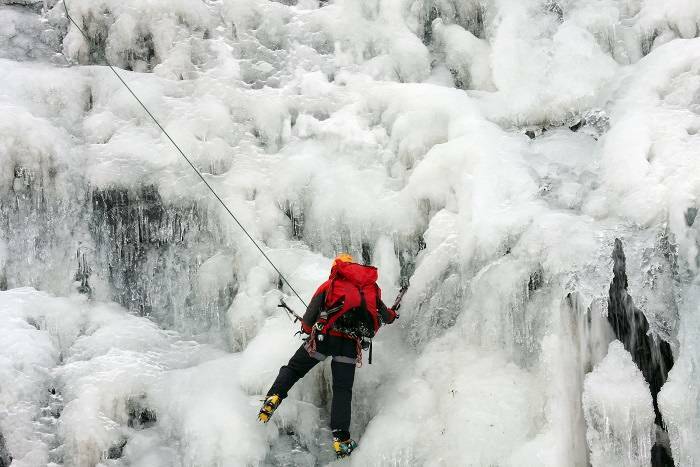 Take a trip to the Ice Factor and ice climbing centre in Argyle and experience the thrills gripping and climbing your way up their freezing walls of ice! Don’t worry if you’re a newbie, they have indoor courses to get you going before you go out onto the icy hills. If you’re a pro, then you can also try an outdoor climb in Torridon in the northern highlands, or Skye and the western isles. You don’t get extra brownie points for hanging off the cliff pretending you’re Sly Stallone in Cliffhanger shouting action movie quotes though. Now it’s getting really exciting! Take a trip to Crocosaurus Cove in Australia, where you get in a cylindrical cage designed to get you within five meters of the big bad crocs. 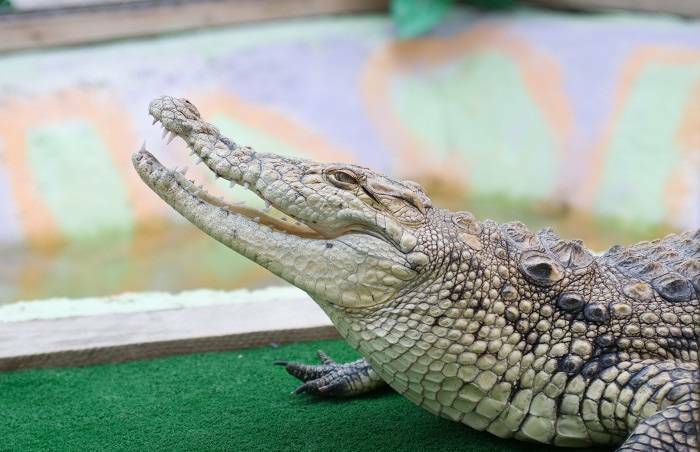 Have you got the guts to go face to face with the killer reptile? If you’re not quite up for the intimate meeting with Mr or Mrs Croc, then you can take a look at one of the 200 crocodiles on view from afar, but that’s no fun now, is it?! Back to the cold, but stepping it up a notch, how about some speed riding in the French Alps? Also referred to as speed flying, there aren’t too many things that will get the adrenaline racing through your veins like hurtling down the slopes in this unique combination of paragliding and skiing. 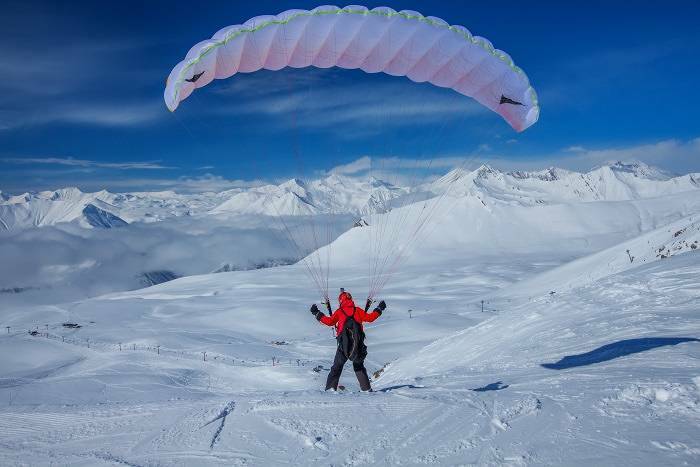 This sport takes elements of free-riding (cycling) puts you on skis and a paraglider mini-sail that is easy to steer. The idea is to stay close to the slope for a faster, thrilling ride. Speed riding entails playing with relief, making jumps and then landing gently on the snow. Easy right? Considered one of the best stretches of commercially run rivers in the world, Batoka Gorge will give you the most intense thrill imaginable, we’re getting goose bumps just writing about it. There’s 23 white water rapids deep within the black cliffs. You can do a half day trip, one day or if you’re feeling really brave, you can commit two full days to sitting in that little boat and dropping off the steep cliffs! If you do decide on two days, you’re in for a treat at the end of day one when you get to sit back and relax in Batoka Gorge listening to the calming sounds of nature… before doing it all again the next day! Rock climbing! Now we’re really starting to oomph things up a bit, check your pulse people, the adrenaline just got real! 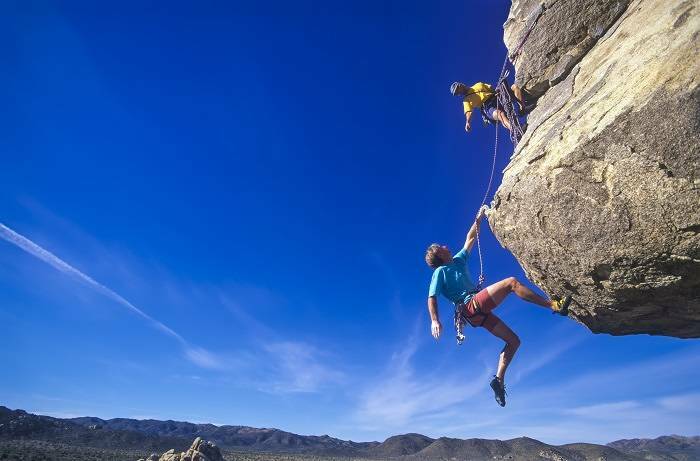 The best known rock climbing area in Mexico is El Portero Chico near the city of Monterrey. These towering mountains in the Chichuahuan desert of northern Mexico are considered a rock climber’s heaven for the huge variety of routes available in the limestone cliffs. Although beginners will find spots to climb, the majority of climbs are grades 5.8 to 5.13 and some of the routes are 700 metres long! Yep, that’s right. The words free, diving and sharks all in the same sentence. Thrilling, nerve-racking and spine tingling are just some of the words that come to mind when thinking about it. Rotan is the largest of the Honduras islands, it has good visibility (a vital factor if you’re shark watching). The name of the diving site is called Cara a Cara which conveniently translates to face-to-face. 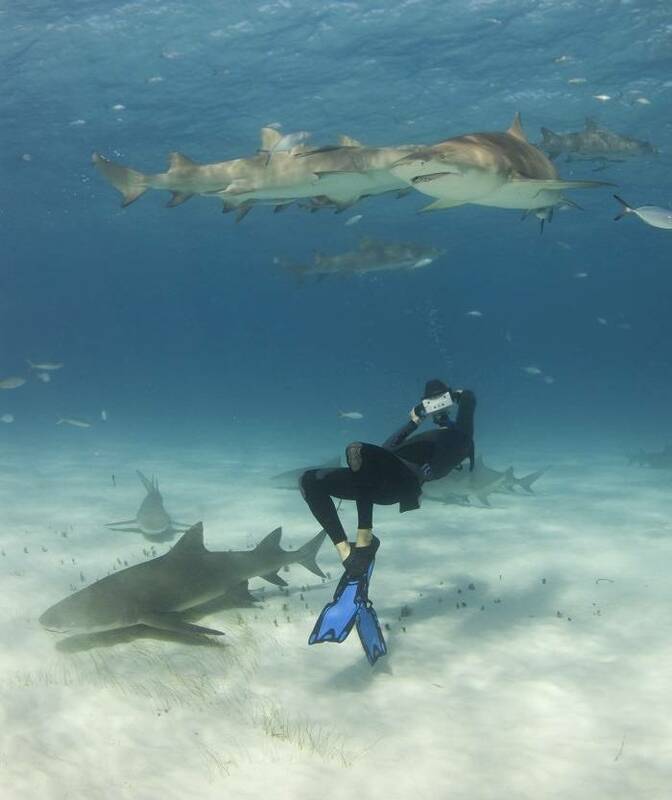 There’s often 10-20 sharks in one location… we’re getting nervous just thinking of it. Not desperate for a swim in such close proximity to so many sharp sharky teeth? Fear not! There are plenty of other diving courses to check out at the Apnea Total Utila in Sandy bay Honduras. Although BASE jumping is legal in Norway, the jump from the Troll cliff (one of the locations which pioneered the sport) so extreme that it’s now illegal to jump off. No wonder; it is the tallest vertical rock in Europe: a 3,600 high mountain of fear! 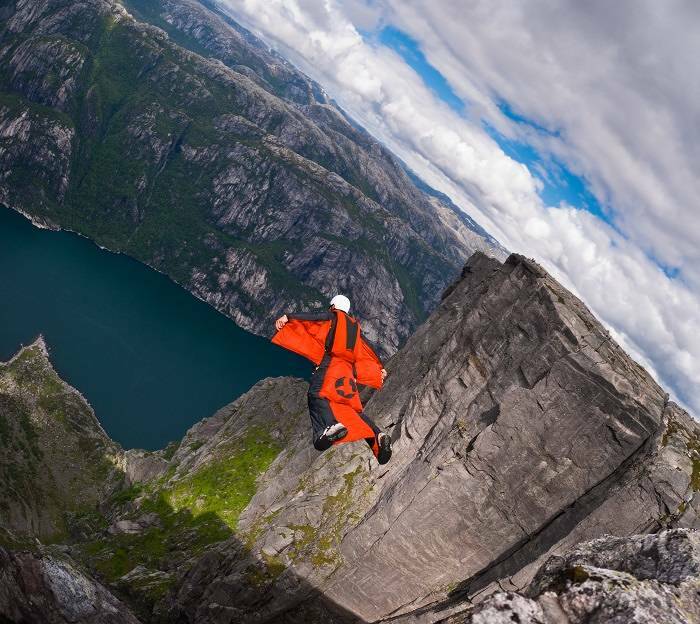 There are other BASE jumping spots in Norway, including Pulpit Rock and Troll’s Tongue if you fancy strapping up your Wingsuit, but we think you may want to leave this one for the professionals. Now this is the granddaddy of them all. Who wants to do one extreme sport, when you can do a whole challenge? 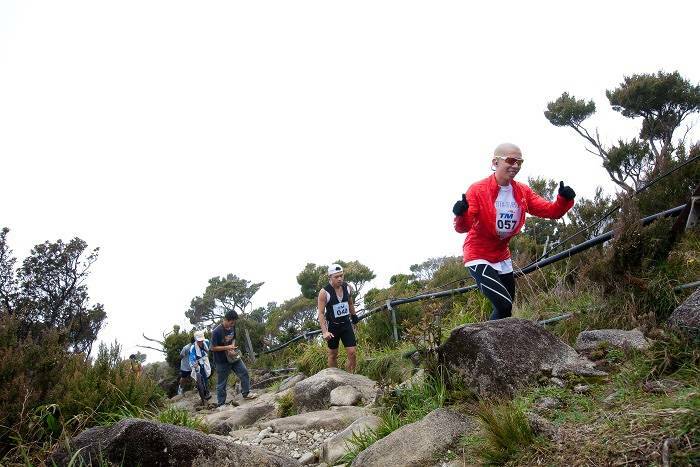 Set in the jungles of Borneo, the Kinabalu Challenge is a one week, multi challenge adventure race that tests your strength, team working skills and your adventurous side to the limit. You will be helicoptered into the jungle and face a number of high octane challenges from white water rafting, racing down the Kiulu River, Kayaking relay races, trekking, running and mountain biking through the jungle. We think if you complete this, you really have earned the title of Extreme sports conquer.